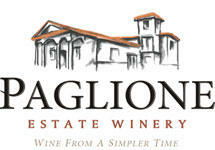 Paglione Estate Winery is nestled in 40 acres of land with 10 acres of vines along the shores of Lake Erie in the Essex Pelee Island Coast (EPIC) wine region in Harrow, Ontario. Here, in the heart of Canada’s southernmost wine region, we craft estate-grown, high quality wines in small batches, fermented with indigenous yeast using natural, old-world Italian methods. The Winery’s Tuscan-style architecture and welcoming ambiance offers guests a unique experience steeped in culture and traditional charm in a family atmosphere unmatched in the region. So come be our guest and enjoy a little taste of la dolce vita.